Our guide on starting a veterinary practice covers all the essential information to help you decide if this business is a good match for you. Learn about the day-to-day activities of a veterinary practice owner, the typical target market, growth potential, startup costs, legal considerations, and more! Many of us view our pets as an integral part of our family. Others rely on the health of their animals for their livelihood. Veterinary clinics ensure our animals receive the vaccines and care needed to live a long and healthy life. People who are properly certified and passionate about animals are best suited to open a veterinary clinic. In this line of work, however, you’ll often treat very sick and dying animals, many of which you and your staff will have toput to rest. Therefore, running this type of business requires emotional stability and compassion for the families left behind. What happens during a typical day at a veterinary practice? The veterinarian’s typical day depends upon the scope of their practice. Most clinics offer standard services such as annual check-ups, lab work, and spay and neuter procedures. You’ll also take appointments for animals with more serious health concerns and prescribe a treatment plan based on your findings. Part of your day will also be spent conducting research, setting broken bones, and providing a long-term treatment plan for geriatric and terminal pets. Veterinarians in more rural areas often go on house calls, treating larger animals like horses, pigs, and sheep. If you’ve decided to enter into a more specialized veterinary field, such as equine, surgical, or emergency care, the bulk of your clients will fall under that category. Standard veterinary clinics treat lizards, birds, and everything in between, for both routine and “sick” visits. How does a veterinary practice make money? Veterinary clinics charge a flat office visit fee. Services for testing, X-rays, and prescribed medicine are added to the bill individually, depending upon the needs of the patient. What is the growth potential for a veterinary practice? After having made a name for themselves in the animal community, many clinics choose to open multiple locations across the city. There are also several franchise opportunities, such as Pet Depot, who offer independent business owners the support necessary to turn their vision of an 8,000 square foot business into a reality. What are some skills and experiences that will help you build a successful veterinary practice? To practice veterinary science in the United States, one must receive a Doctor of Veterinary Medicine (DVM) degree, in addition to a Bachelor’s degree. Unlike most careers, you’ll come in contact with humans and animals throughout the day. Thus, it’s critical that you possess strong interpersonal skills and a great bedside manner. Animals are unable to tell us what’s wrong verbally, so vets rely on behavioral signs to help determine where the animal is sick. Strong observation skills are also important for identifying an animal’s pain level or when they’re about to become aggressive. Due to the nature of the business, manual dexterity is also a positive skill to possess. Pet owners are entrusting you with their beloved pets. The knowledge you gain through experience and education will help you determine a treatment plan. Trust in your wisdom to make good decisions and be able to back these decisions up when speaking with pet owners. Many clinic owners begin their career working alongside an established veterinarian, often assisting in a vet’s office as they work their way through school. This offers invaluable information regarding how such a business is run, while establishing connections within the industry. The American Veterinary Medical Association and World Veterinary Association have both been instrumental in assisting vets with professional development, continuing education, and educating on the latest in veterinary medicine. What are the costs involved in opening a veterinary practice? Every veterinary clinic owner will tell you that location is paramount to your business’ success. Choosing an area that isn’t saturated with clinics and with lots of pets (and/or farm animals) will help ensure regular business. It can prove beneficial to hire a veterinary consultant, who can help analyze your area regarding average salaries and demographics. If you have the capital to start with, many veterinarians have found success through purchasing a book of clients from an established vet upon opening their doors. Opening this kind of business can be expensive--consider speaking with a loaning agency to determine whether a loan is available for starting a veterinary clinic. What are the steps to start a veterinary practice? Form a legal entity. Establishing a legal business entity prevents you from being personally liable if your veterinary practice is sued. Open a business bank account. A dedicated checking account for your veterinary practice keeps your finances organized and makes your business appear more professional to your customers. There are a number of ways to let the pet-owning community know you’ve opened your doors. Every modern business owner should have a website and social media pages. These are great tools for educating and attracting those within the community. You could also advertise on the radio and in the neighborhood newsletters. Some clinics have realized great success through partnering with other local businesses. Connect with a local groomer in the area and offer discounts for each referral. It’s also a great idea to host an open house when your business is ready to open. This gives both parties an opportunity to meet each other and determine if it’s a good fit. 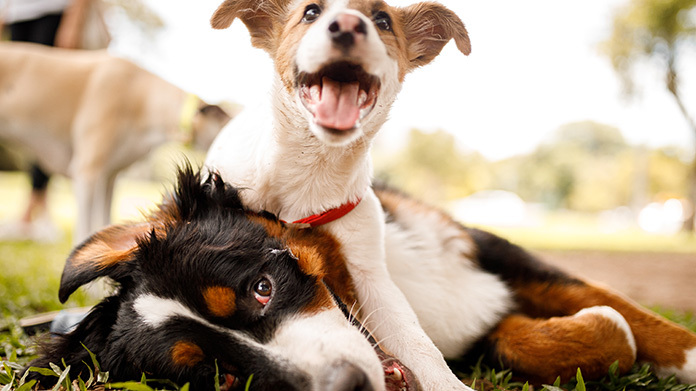 Pet owners often feel as protective of their animals as they do their children. Thus, word of mouth will be your greatest form of advertisement. If you hire a friendly and knowledgeable staff, deliver excellent customer service, and high-quality medicine, word will spread quickly. To ensure your clients remain repeat customers, it’s also a great idea to develop an outreach program in which previous clients are reminded to bring their pets in for regular checkups. During the initial stages, you’ll probably want to keep a lean staff. Studies indicate that most clinics employ approximately 3.8 staff members per doctor. Staff members include receptionists, licensed technicians, veterinary assistants, and kennel attendents. To ensure success, it’s critical that your staff be compassionate and driven to help animals in need. When practicing veterinary science in most states it is necessary to obtain a veterinary license from a board certification. 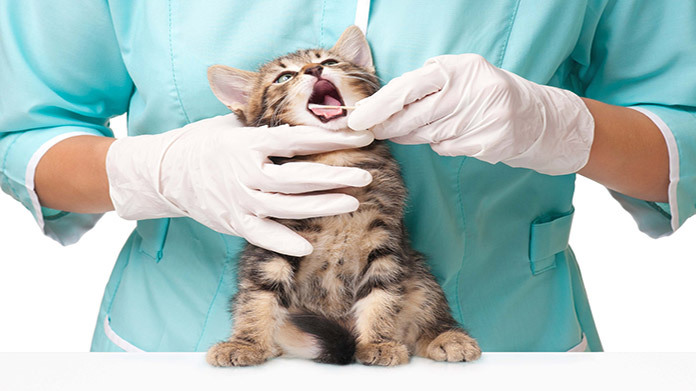 Certain state permits and licenses may be needed to operate a veterinarian business. Learn more about licensing requirements in your state by visiting SBA’s reference to state licenses and permits. A veterinary clinic is generally run out of an office building. Businesses operating out of a physical location typically require a Certificate of Occupancy (CO). A CO confirms that all building codes, zoning laws and government regulations have been met. Before leasing, confirm that your landlord has or can obtain a valid CO that is applicable to a veterinary business. Clinic visit fees range anywhere from $35 to $150, depending upon the demographics of your area. To help you create competitive pricing, obtain a price list from others in your general area. 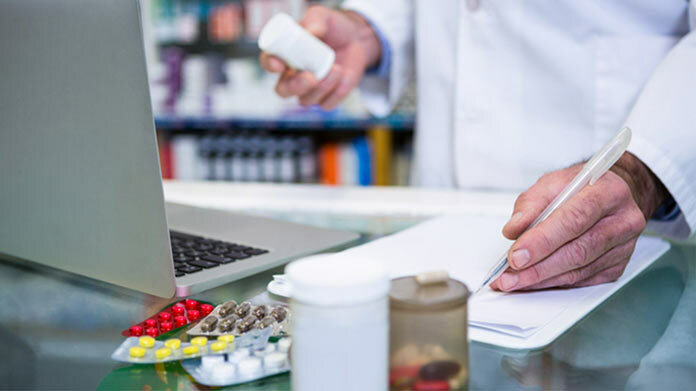 Traditional prescription medications are typically marked up 2.5 times cost, while preventives and chronic-use medications are set at approximately 1.5-2 times cost. Vaccine prices can be set based on historical pricing and food should be set at MSRP. What are the ongoing expenses for a veterinary practice? Veterinary clinics must keep a steady supply of prescription medicine on hand at all times - their patient’s lives often depend upon it. Your inventory of medicine and specialty food will prove to be one of the greatest ongoing expenses. Until your business grows, you’ll also need to dedicate a portion of your monthly budget for a marketing strategy. Your largest and most important expense, however, will be payroll. Your staff is both on the frontline and behind the scenes making sure the business runs like a well-oiled machine. Customers will come in contact with them more than anyone else. Treat your employees as the valuable asset they are and the business will be rewarded accordingly. How much profit can a veterinary practice make? The veterinary field was projected to realize a 9% growth from 2014 to 2024, higher than the average for most occupations. In May of 2015, the lowest 10% averaged less than $54,000 annually, while the highest 10% averaged more than $158,000. The median wage for veterinarians was $88,490 annually. 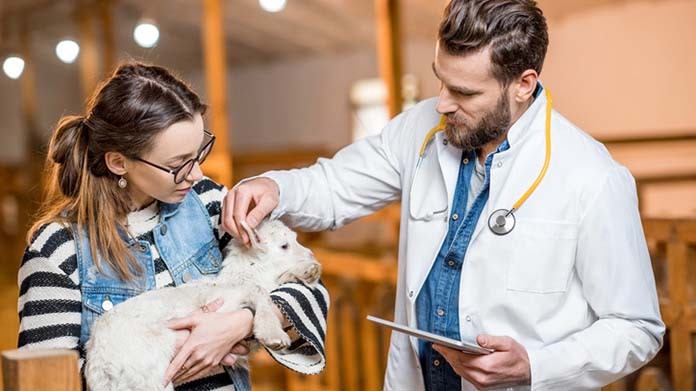 Become certified through The American College of Veterinary Surgeons, which will allow you to open a hospital that specializes in emergency situations and more serious illnesses. Become a provider for pet insurance companies that offer benefits correlating with the services you offer. Accept multiple forms of payment, including credit cards, cash, pet insurance, and CareCredit. Specialize in large animals such as horses, cows, and other farm animals. Maintain an inventory of products you believe in, such as food, skincare products, and toys. Offer mobile services. Many clinics have partnered with grocery stores and pharmacies, scheduling a mobile staff to be on site several weekends a month. This attracts a group of customers you might otherwise not have come in contact with.